If Incorrect -> Reinstall the throttle cables. If there is rough movement -> Lubricate or replace the defective part(s). With the engine stopped, turn the throttle grip slowly and release it. Make sure that the throttle grip turns smoothly and returns properly when released. Repeat this check with the handlebar turned all the way to the left and right. • Throttle grip free play "a"
If Out of specification -> Adjust. 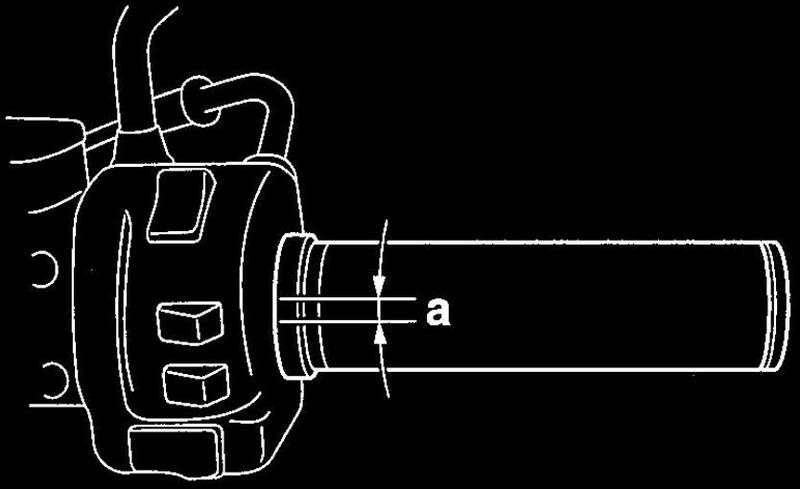 Prior to adjusting the throttle grip free play, throttle body synchronization should be adjusted properly. a. Loosen the locknut " 1 " on the accelerator cable. b. 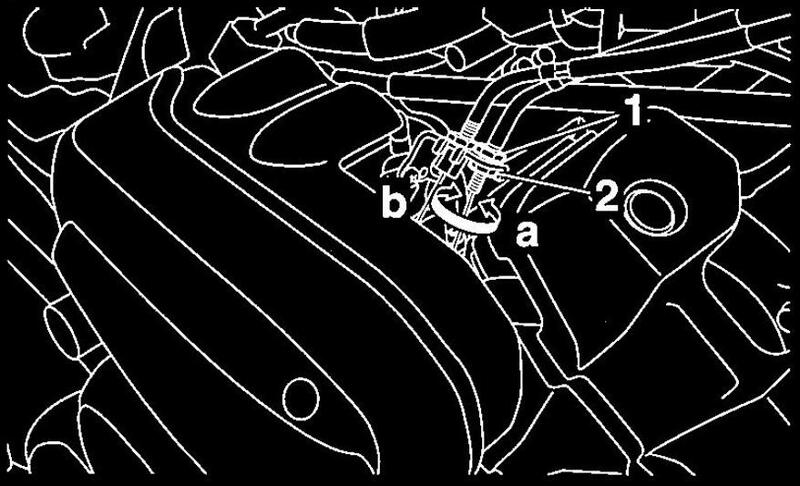 Turn the adjusting nut "2" in direction "a" or "b" until the specified throttle grip free play is obtained. Throttle grip free play is increased. Throttle grip free play is decreased. 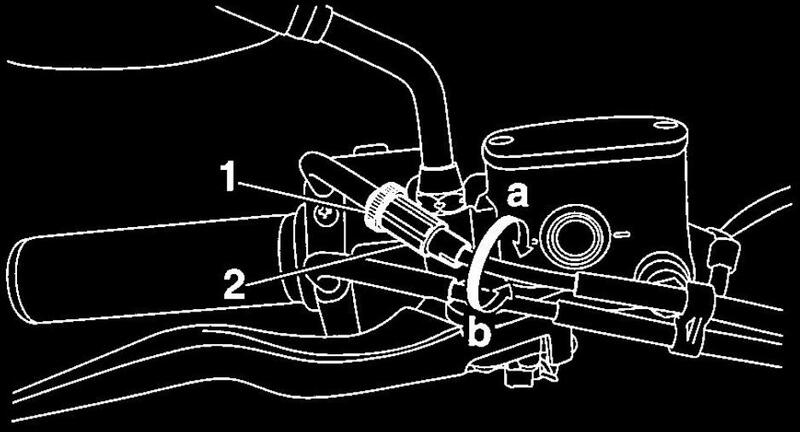 If the specified throttle grip free play cannot be obtained on the throttle body side of the cable, use the adjusting nut on the handlebar side. a. Loosen the locknut " 1 " . Lubricate the throttle grip housing and cable.